RDS-PP is the further development for the proven identification system for power plants KKS. Compared to this, it provides a number of innovations and extensions, coming up for today's requirements for designation of power plants components. In contrast to the KKS, RDS-PP was enhanced with a view on new forms of power generation, e. g. decentralized plants. The new designation system is based on international standards, especially to ISO/TS 81346-10, ISO/TS 81346-3, related to the structuring principles and the designation systematic. The VGB Working Panel "Reference Designation and Plant Documentation" takes an active part in the development of the RDS-PP and is underlying national and international standards. The international harmonization of the RDS-PP and its constant structuring help to avoid errors and misunderstandings during the designation whereby the plant reliability is increased. RDS-PP is - same as the KKS - a common standard for operators and manufacturers of power plants. The world-wide acceptation opens further potentials for long-term cost reductions when planning, construction and operating of power plants. RDS-PP® Application Guideline Part 32: Wind Power Plants published! 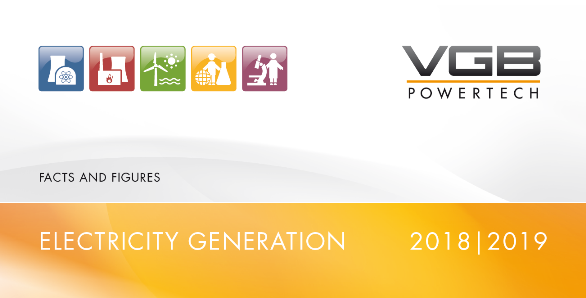 VGB RDS PP® is a systematic plant designation for the efficient construction and operation of wind power plants. The bilingual (German/English) new edition of the VGB-Standard “RDS-PP® Application Guideline Part 32: Wind Power Plants“ fills a gap in the international designation system for electricity generation plants. For further information, please see the Current Press Release! 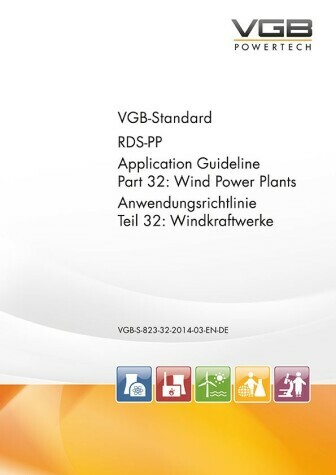 The VGB-Standard “RDS-PP® Application Guideline Part 32: Wind Power Plants“ can be ordered via the Online Shop. For efficient planning and construction as well as for the later operation and maintenance (O&M) of a wind power plant, it is necessary to structure this plant and to assign clear and unambiguous alphanumeric codes to all assemblies and components. These codes can serve as unique reference addresses during the engineering process, or as a “Functional Location” to allocate specific maintenance tasks in operation and maintenance systems. The designations according to RDS-PP® (Reference Designation System for Power Plants) have been established for wind power plants for nearly 10 years. The Application Explanation VGB-B 116 D2, issued in 2006, was completely revised due to market requirements, technical developments in the wind power industry, and changes in international standards, especially IEC 81346-2. The new edition was published as VGB Standard VGB-S-823-32 in March 2014. Therefore this edition of the Ap-plication Guideline reflects the latest status of the designation requirements for wind power plants. This article presents the most significant contents of this standard and describes some application examples of RDS-PP®. Finally, the rationale for and the consequences of the trade mark registration of RDS-PP® for the user are discussed.